Currently, the wires used by this company include Japan's piano wires (German Angel piano wires), high-tension steel wires, stainless steel wires, phosphor bronze wires and general steel wires. Wires with diameters over 0.08mm is used for multi-layer processing and fabrication for making compressive springs, tension springs and torque springs. During the manufacturing process, all wires are strictly tested to ensure the product performance and specifications are met to maintain a high quality level. 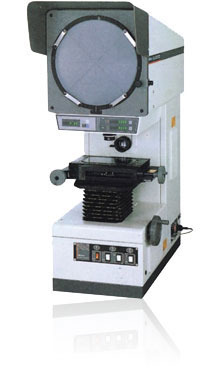 During the test, the advanced computer Spring Force Tester, Tension Tester, Torque Tester and projector are used to ensure the quality and the "zero-defect" requirement. The quality is further guaranteed under the support of fully-automated production, monitoring and simplified system. SWC Hard-drawn Carbon-base Steel Wire (80c) : Homogeneous and stable hardness of the wire is in presenting high-precision spring for the manufacturers. SUS Stainless Steel Wire : Nickel-plated surface treatment on top of which, further rustproof finishing can be performed as required. PBW Phosphor Bronze Wire : Bright surface finishing in presenting satisfactory wire guiding rate and elasticity. SUS 301 has better strength and elasticity and the surface is also more rust-resistant. SUS 304 is applicable for the environment using stainless steel and heat-resistance steel. 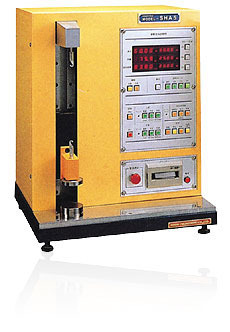 Exhibits higher strength, ductility, drawability and electroplating, which is suitable for drawn-fabricated products. Exhibits better fatigue endurance and has more satisfactory corrosion resistance against sea water and is suitable for high-temperature environments. Exhibits satisfactory ductility, elasticity, fatigue endurance, corrosion resistance and wire guiding performance. Exhibits better ductility, elasticity, fatigue endurance, corrosion resistance and wire guiding performance. Iron, carbon steel and tooling carbon steel SK5, SK7 are easier for fabrication and are suitable for various types of punching parts. Being light in weight, aluminum is suitable for externally enclosed parts and drawn-forming items.